Affordable AutoGlass's certified to replace or repair any glass, on any vehicle. Affordable AutoGlass ensures all Safety Protocols are met & all of our work backed by our replacement or repair lifetime warranty. We have relationships & have worked with most major insurance companies for any glass work done on any vehicle. 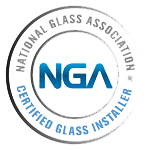 We're the Preferred & Certified AutoGlass Company for Nashville's Luxury Car Dealerships. BMW, Porche, Mercedes Benz, Audi, Jaguar & all other vehicles. "Excellent service! Went above and beyond! Thank you so much!" Right When I Needed Them! "Very prompt. The flexible scheduling was very convenient." "Personable technician. The best service I've ever had." "Very nice work, on time and reliable. Job well done." Our technicians can diagnose your glass repair needs to determine whether or not you'll need a low-cost repair instead of a full windshield replacement. We know how busy your schedule can be, which is why we offer our free mobile service. Convenience is a necessity, schedule an appointment & let us come to you. © Affordable AutoGlass | All Rights Reserved.